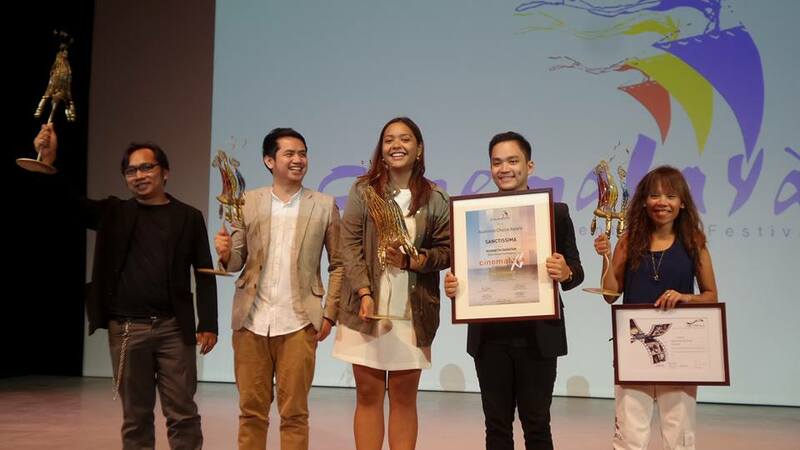 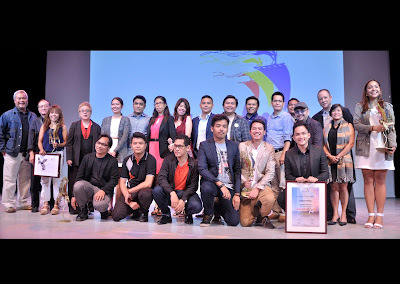 Martika Ramirez Escobar’s Pusong Bato was judged as Best Film at the awarding ceremony of Cinemalaya Film Festival 2015 held at Tanghalang Aurelio Tolentino of Cultural Center of the Philippines in Pasay City. Petersen Vargas won Best Direction for his film, Lisyun Qng Geografia (Geography Lessons). 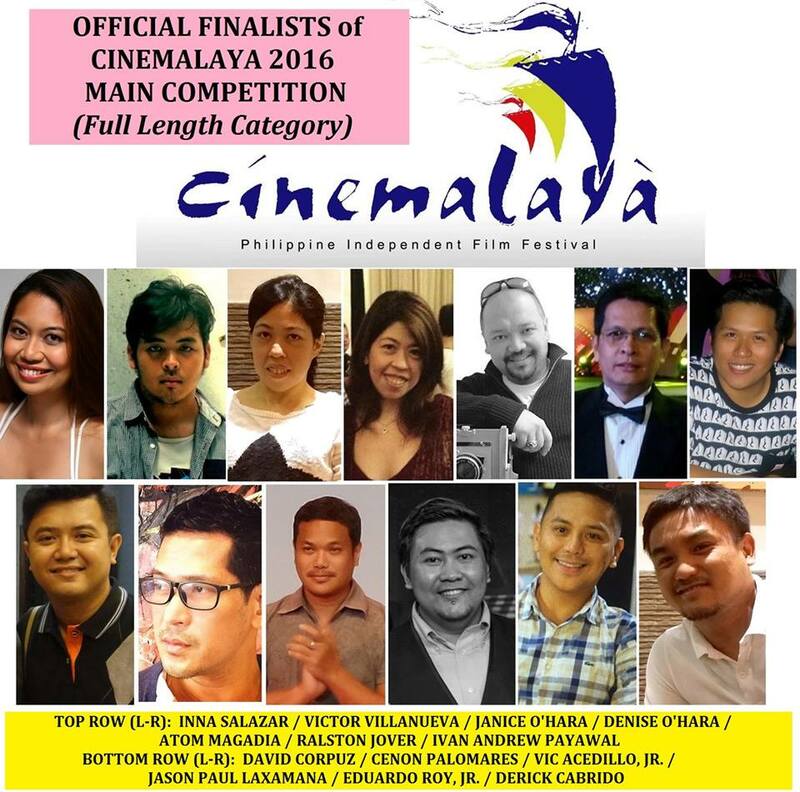 On its 11th year, this is the first time that Cinemalaya Film Festival had only 10 short feature films in competition, without the 10 full-length films for New Breed category and 5 full-length films for Directors Showcase category. 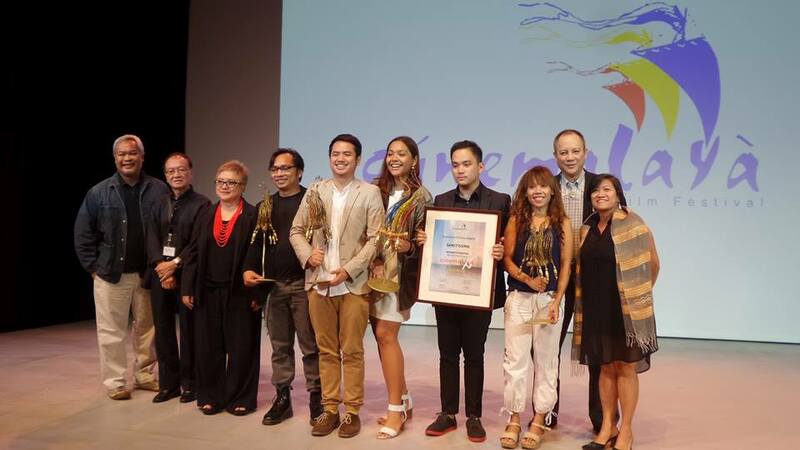 (L-R): Chris Millado (Cinemalaya Festival Director and CCP Vice President), Mel Chionglo (Competition Chairman), Laurice Guillen (President, Cinemalaya Foundation), Darwin Novicio (Best Screenplay for Papetir), Petersen Vargas (Best Director for Lisyun Qng Geografia), Martika Escobar (Best Film for Pusong Bato / Stone Heart), Kenneth Dagatan (Audience Choice Award for Sanctissima), Anj Macalanda (Special Jury Prize and recipient of NETPAC- Network for the Promotion of Asian Cinema for Wawa), Mr. Antonio Cojuangco (Chairman, Cinemalaya Foundation), and Ms Teresa "Tess" Rances (Cinemalaya Deputy Festival Director). from the Cinemalaya Facebook Page unless otherwise indicated.